Cato (Ben Greaves) temporarily gets the best of Chief Inspector Jacques Clouseau (Abu Akki) during rehearsals for The Pink Panther Strikes Again, which will be performed at Unionville High School, Nov. 14 through 16. 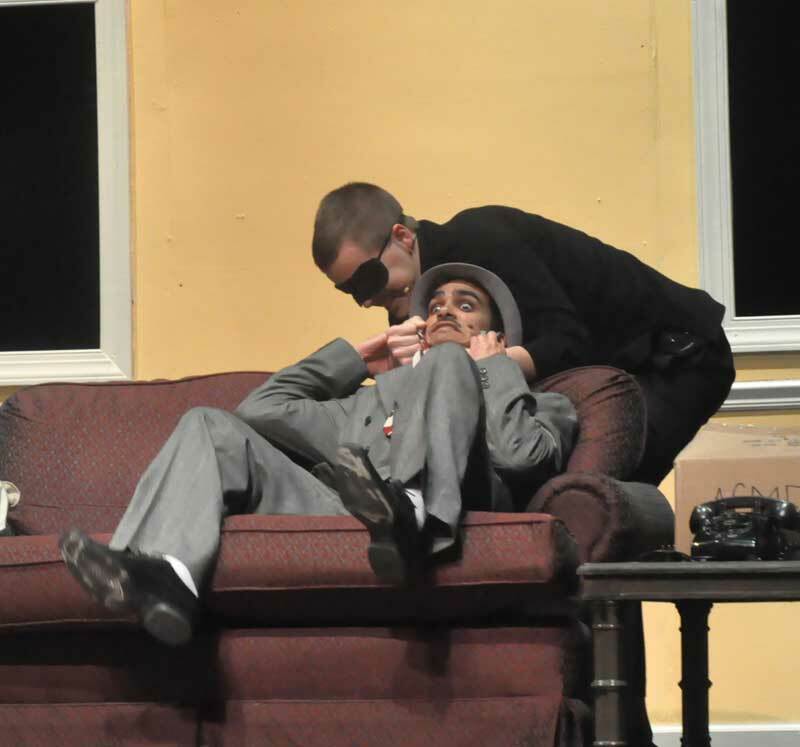 EAST MARLBOROUGH — Chief Inspector Jacques Clouseau is back on the case, starting Thursday night, as the Unionville High School Players present The Pink Panther Strikes Again. The play, based on the Blake Edwards’ movie of the same name, is a hilarious romp, chock full of action, adventure and the usual chaos when bumbling French detective Clouseau is involved. The show will be performed Thursday, Friday and Saturday night at 7 p.m. Tickets are $7 for adults and $5 for students. 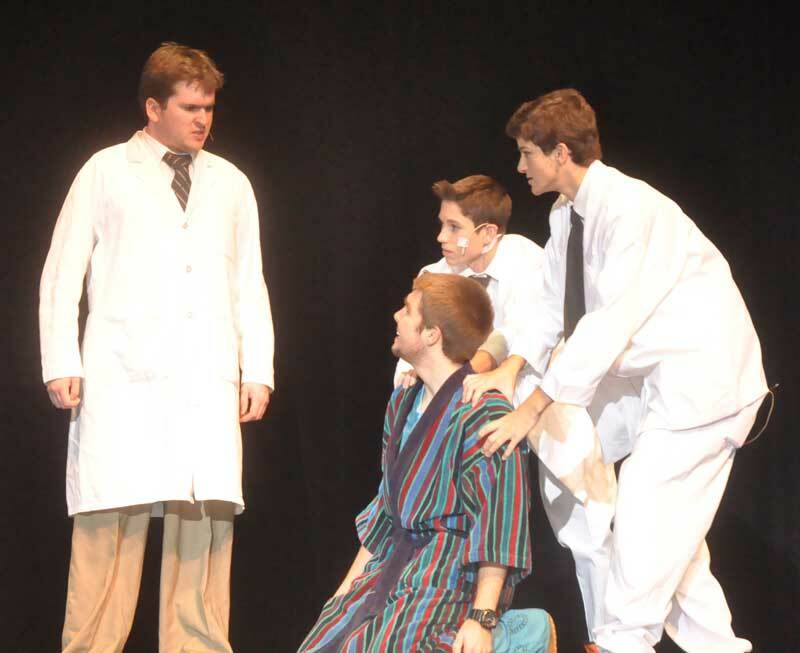 The show also marks the 40th production for director Daniel Lipowitz — a staple of the school’s drama productions over the last couple of decades. Dr. Fassbender (Charley Bloomfield) confronts former Chief Inspector Dreyfuss (David Biddle), as he is restrained by orderlies (Trevor Seidel and David DeMarco). Abu Akki stars a Clouseau and David Biddle plays his nemesis, former Chief Inspector Dreyfus. Saw the Play last night… Outstanding Job by all…. Very Funny and entertaining. Abu Akki was awesome…funny scenes with Ben Greaves as Cato and Ryan Nilsen as Jarvis…….David Biddle also did a fantastic job as Dreyfuss…… Again,..Great job to all actors and stage/tech crew.